The first time I had white tea was about eight years ago when I gave a box to someone as a gift and bought one for myself. As the weather is starting to warm I find myself gravitating towards the lighter side of everything, tea being no exception. Because white tea is so low in caffeine it is one of my favorite teas to serve to close friends. When I sit down with a good friend for a long chat much tea will flow, and I prefer we not be ready to shoot into the stratosphere at the end of it. Cheery and energized, but with a normal heartbeat and the ability to sleep at the end of the day — always nice. Though white teas are now grown in other parts of the world, they originated in China and are a specialty of the Fujan Province. They are harvested over a very short period of time in the spring and are the least processed of all the teas (white, yellow, green, black/red and Pu-erh or Pu er). White teas were originally grown specifically for emperors and the like, so it’s no surprise they are expensive. The price per pound can be daunting, but I never buy more than a few ounces at a time. 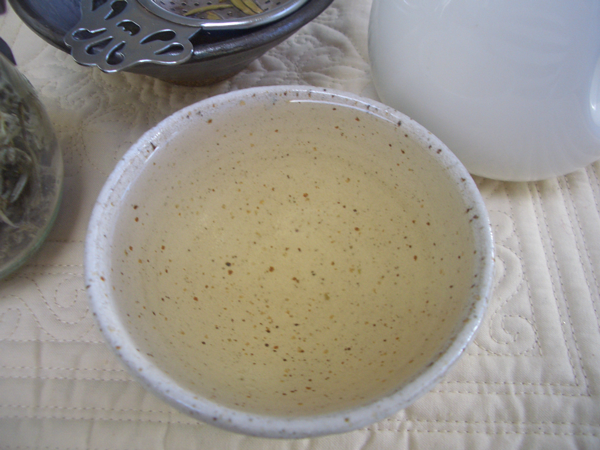 A little goes a long way, and white tea can be steeped again and again. However much you buy, it should be consumed within six months to a year. In general you will usually see two types of white tea–those made exclusively of unopened buds, such as Silver Needle, and those made of a combination of buds and leaves. 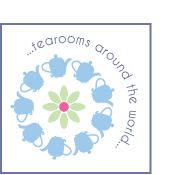 Teas made exclusively from buds are the rarer and more expensive teas, and for that reason when buying white teas it is a good idea to be able to see what you’re buying. 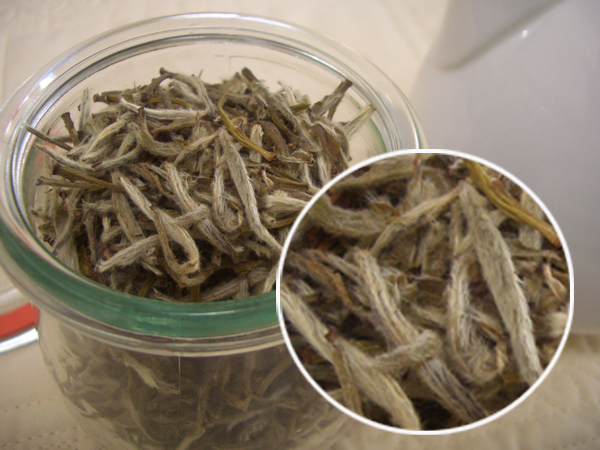 Silver Needle tea is known for its needle-shaped buds covered in silvery down. Brew many short infusions, steeping for 90 seconds to 2 minutes each time. 2 teaspoons (10ml) to 1 cup (250ml) water. The temperature of the water should be 160 to 170° (71 to 76°C). To tell the right temperature for these delicate teas without breaking out the thermometer… you can use the Chinese method of eyeballing the size of the bubbles as they start to form in the water. Shrimp Eyes – when the first tiny bubbles appear. Crab Eyes – slightly larger bubbles. Fish Eyes (160 to 180°F / 71 to 82°C) – larger bubbles form and are just about to start rising to the surface. This is the correct temperature for white tea. String of Pearls (180 to 195°F / 82 to 91°C) – bubbles begin to break the surface. Dragon Eyes (195 to 210°F / 91 to 99°C) – a rolling boil. When brewed, the aroma is clean and floral, the liquor is pale and straw-colored and the flavor smooth and sweet with hints of melon, honey and chestnut. Very interesting about the bubble reading. I have heard about it before, but nothing more than a mention. Thanks for the post!